Thank you for purchasing Community Builder. If you have not yet downloaded the theme, Please download it from your BuddyDev account page. 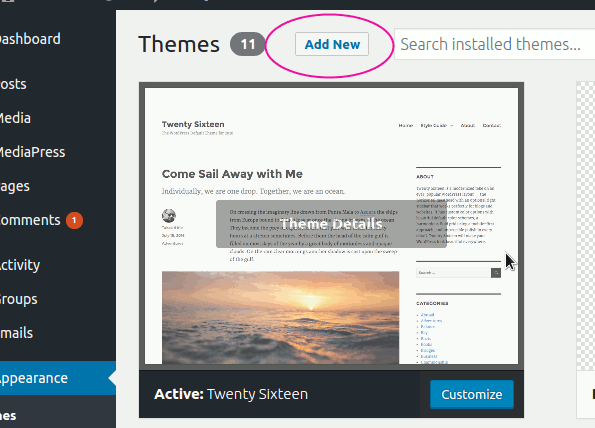 In this guide, we will see how to install and activate Community Builder Theme. We are assuming that you have already downloaded it. 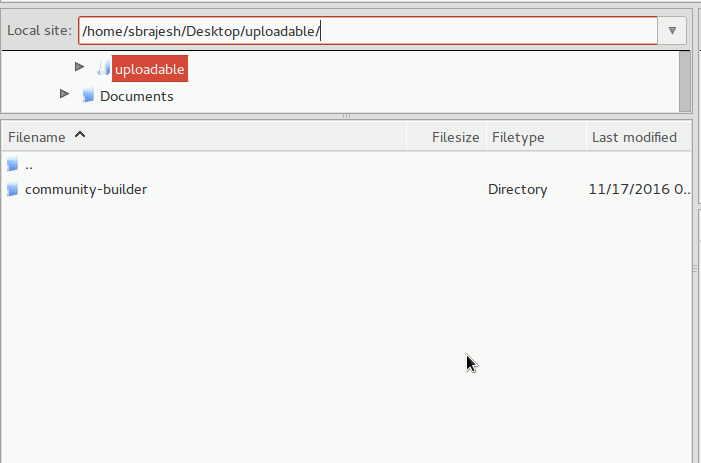 The download is named as community-builder-x.y.z.zip where x.y.z is version number. The following steps are only for those people, who could not install via the WordPress admin screen. 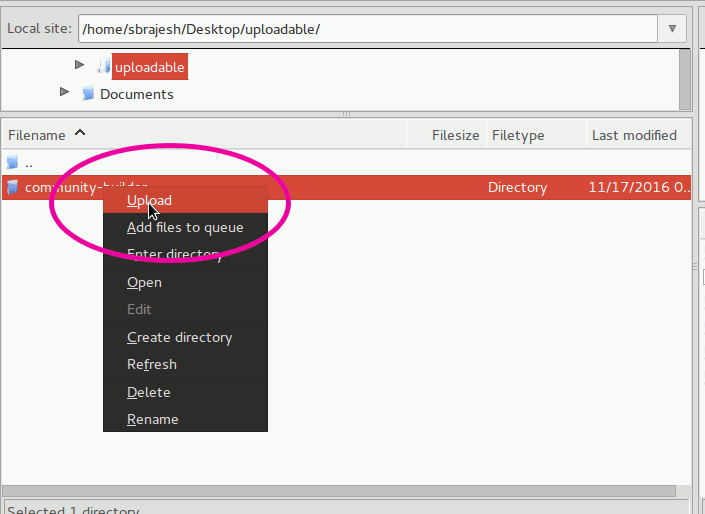 We will be using FileZilla as our FTP client in this example, you can use any FTP software. Use FTP and connect to your server. Navigate to the directory containing unzipped community-builder directory. Here is an example. 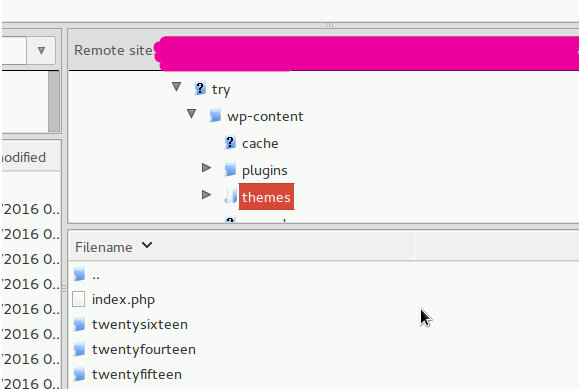 Select Upload, and the theme will be uploaded to your themes directory. Now, login to your WordPress dashboard and Click the Appearance Menu. In the theme list, you will see the Community Builder theme. Activate it. Once the theme is Active, Please click Appearacnce->Customize and you can start customizing your site. 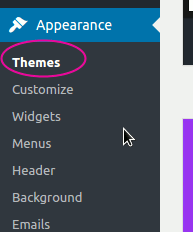 In case of multisite, the theme needs to be enabled from Network Admin->Themes screen before they will be available on your blogs. Next Step:- Customizing Community Builder. We hope you will have a great experience building your social network. Please do share your experience in our forums.